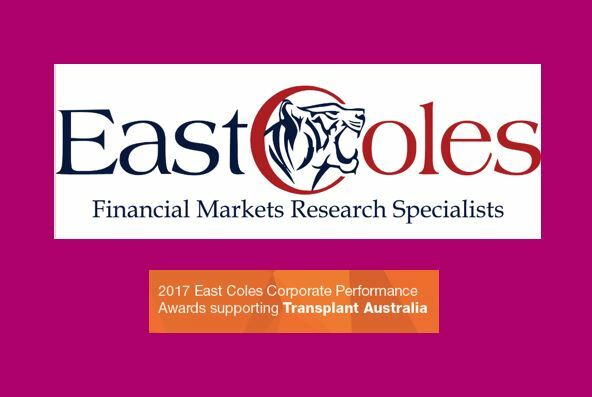 Transplant Australia is excited to announce a new partnership with the East Coles Corporate Performance Awards. The prestigious night is designed to honour S&P/ASX200’s highest achievers and best brokers including best CEO and best CFO of 2017. It is a unique opportunity for Transplant Australia to promote organ and tissue donation, and the success of transplantation to the leaders of the Australian business community. The awards night takes place at the Ivy Ballroom in Sydney on Thursday, September 21. Transplant Australia CEO Chris Thomas said there was still much more work to be done to convince all Australian to sign on to the Australian Organ Donor Register, and he hoped these influential Australians would lead from the front and ‘make their decision count’. “In the room will be representatives of hundreds of thousands of employees from right across the financial and business sectors. We are extremely appreciative that East Coles, the premier market research firm, supported by ABN NewsWire and Boardroom Media, have joined with us to promote the gift of life,” Mr Thomas said. To purchase tickets to the event, visiting the booking website by clicking here.